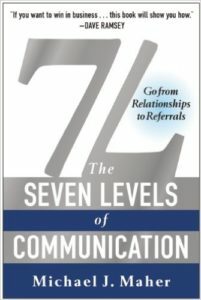 If you have not read Michael J. Maher’s book, The Seven Levels of Communication you may be missing valuable information that can help you generate new business from your friends, family and clients. In the book, Michael shares many insights as to how he built his ultra successful real estate business in Leawood, Kansas, a suburb of Kansas City. More than 80% of his more than $40 Million in real estate volume comes from referrals. One of his recommended methods of increasing your referral business is by hosting housewarming parties for your clients 30-45 days after closing. Not only is this a great way to continue building your relationship with your client, but it’s also a great way to meet their friends and family in a very authentic way. Explain during your initial meeting with your buyer(s) that your greatest joy comes from hosting their housewarming party after closing. After your buyer has been pre-approved, give them a guest list (included in our downloadable toolkit) form to be completed. At closing, pull out your calendars and select a date and time you can all commit to for the housewarming party. Let them know you will send them an invitation, too so they can see what their guests received and know approximately when they received them. Choose hours that are clearly not a “meal” hour such as 1:00-3:00; 2:00-4:00; or 3:00-5:00. You will send invitations out to their guests from a list they will provide you with. You can also create a private Facebook event and invite them to be an Administrator so they can invite friends that way, as well. You will need to be their Facebook friend to do this. You will call each guest prior to the event to let them know your client is excited they are coming and you are looking forward to meeting them because you really enjoyed working with your client and in your experience, people generally know other people like them. Skipping this step will have a major impact on the number of people you have the opportunity to meet. The day of the event, you will arrive 30 minutes prior to the event with food, drinks, serving ware (if you choose) your branded yard sign, contact information sheets (for door prize entry and follow up – included in our downloadable toolkit), pens, prize(s) for your drawing and plenty of business cards! I recommend bringing only disposable items unless you are gifting a serving platter or other serving ware to your clients as a housewarming gift. This allows you to leave before all the guests leave. Let your clients know when you will be holding the drawing and that you need to leave by “x” time. This alleviates any awkward feelings you may have about leaving prior to all the guests and your client(s) will be concerned with getting you out on time, too. When you arrive, take a photo with your clients in front of their home (and perhaps with a “Sold” or “Welcome Home” sign or housewarming gift) to post on your business Facebook page. Invite them to share it to their own personal pages which will increase your exposure to their friends. After you help your clients set up for their party, you can ask them for their help in making sure you meet each of their guests and get them entered to win the door prize(s). Camp out in the kitchen near the drinks and be prepared to serve and engage in conversation. We’ve done the hard work for you and created a handy toolkit for you with all the resources you will need. Download our Housewarming Party Toolkit. Here are some recommendations for how to make your event even more successful. Pre-select your menu and vendors. (Use the same for every party to make things simpler). You’ll host their housewarming party at a time that is convenient for them and make the process so easy all they will have to do it give you a list of people to invite. You can let them know most of your clients choose a date that is somewhere between the 30-45 day mark which allows them time to get settled and excited to show off their new home. Let them know the majority of your clients love being spotlighted on your business Facebook page and you’ll take a photo with them the day of the event for that purpose. We recommend hosting a 2 hour party to get everyone there in a small window to limit the time you need to be there, but they can then choose to allow guests to stay longer if they wish. You are only committing 2 hours of your time so keeping it to a 2 hour window insures that you will get to meet everyone. You will hold a drawing for door prize(s) 30 minutes prior to the end of the 2 hour event then leave. Guest list prior to closing complete with name(s), address and phone number. Idea of what type of gifts they like to receive in the event you get asked that question by their guests when you are making calls. If they do not want gifts, perhaps there is a charity they would like to collect donations for. If so, that is information that can be shared in your Facebook post and may encourage friends to share the post. Their help in making sure you have the opportunity to meet each guest. That’s it! Your client can look forward to their housewarming party with very little work on their part and you have the opportunity to meet the people closest to them in an authentic and genuine way. 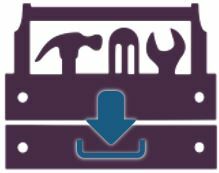 There are some additional resources available to download if you’d like some additional help in executing housewarming parties. We make it easy! If you implement this strategy and have positive results, I welcome an email at marla@wynnteam.com to let me know. I also welcome feedback on best practices if you deviate from this plan and are willing to share.